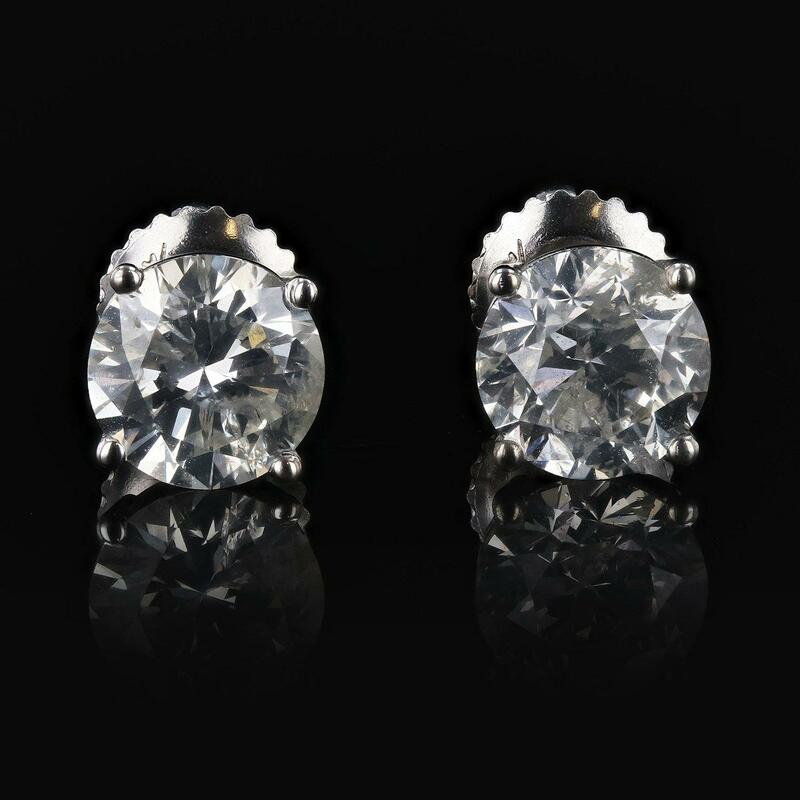 One prong set round brilliant cut diamond, measuring 6.70 - 6.60 x 4.00mm (depth est. ), 2.00% GTCF approximate weight of 1.10ct with a faint green fluorescence. Graded in the setting. One prong set round brilliant cut diamond, measuring 6.60 - 6.50 x 4.22mm (depth est. ), 7.00% GTCF approximate weight of 1.21 ct with a faint yellow green fluorescence. Graded in the setting. Total Weight of Diamonds 2.31ct.